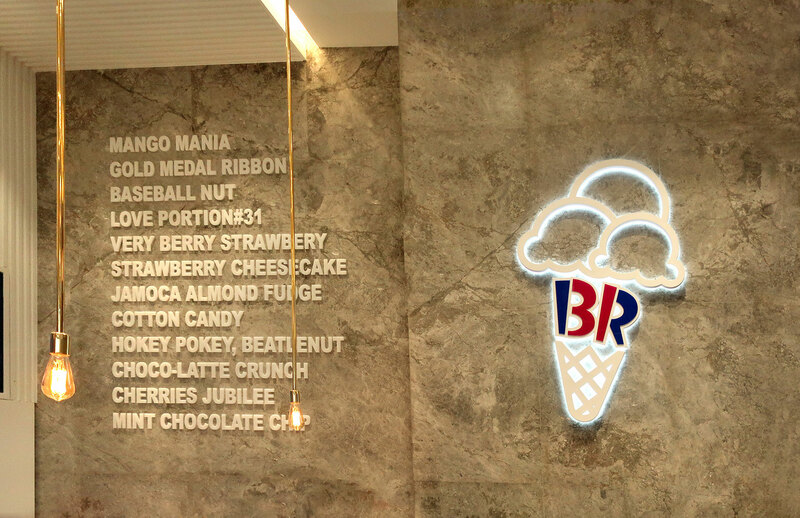 Baskin Robbins is the world’s largest chain of ice cream specialty shops, providing guests with a wide array of ice cream flavours at more than 7,800 retail shops in more than 50 countries around the world. 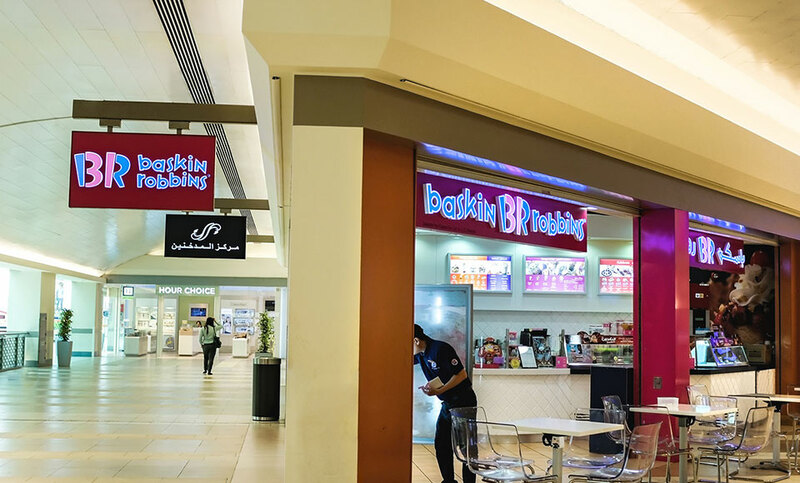 Baskin Robbins appointed Blue Rhine Industries to translate and implement their brand identity across their outlets in Dubai. 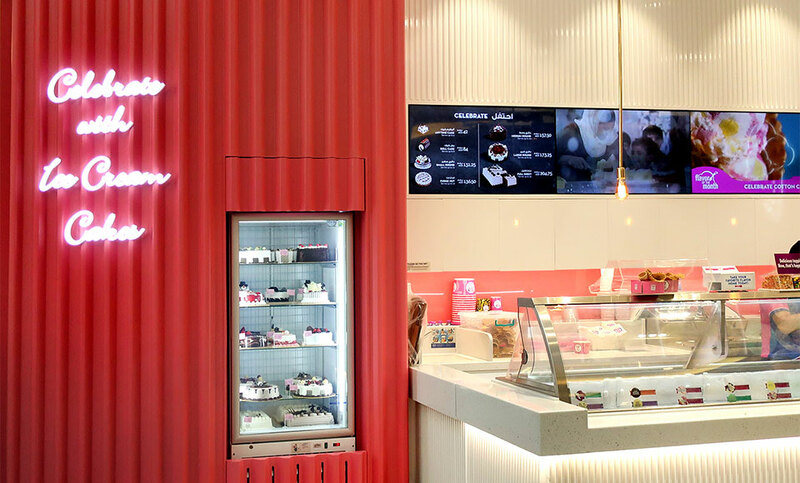 The challenge of the project was to develop a solution which authentically reflected their brand guidelines and helped them stand out from the crowd. We successfully created an intricate logo from acrylic and accurately matched the brand colours and design intent. We managed, engineered, fabricated and installed all of the signage ahead of the client’s schedule, co-ordinating with the multiple teams of contractors on site. Produced all products and managed the installation, ensuring quality control and brand compliance. 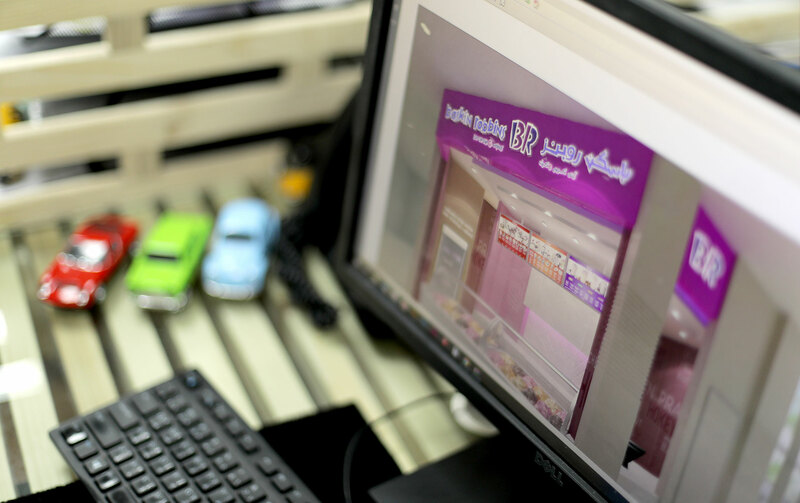 Innovative and distinctive brand solutions.